VAN Pham Dang Tri is currently the Head of the Department of Water Resources, College of Environment and Natural Resources, and Research Advisor of the Research Institute for Climate Change, both at Can Tho University, Vietnam. 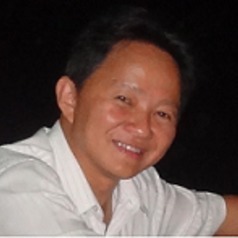 With a wide range of scientific background, he focuses on holistic research on integrated water resources management, irrigation, hydrodynamics modelling and possible impacts of climate change on behaviours of the different river networks, and on agriculture and aquaculture in the Vietnamese Mekong Delta. He is currently participating in different national and international projects either as a project manager or technical adviser.